Concentrating when you’re hungry is impossible. As a result of food insecurity, childhood hunger is pervasive throughout Melbourne. Hunger, for many students is a reality resulting in disengagement from learning or dropping out of school permanently. In response, UnitingCare Hotham Mission works with school welfare coordinators, community service providers and agencies to deliver the “Food for Thought” program – an initiative that provides youth and families with access to fresh and non-perishable food. 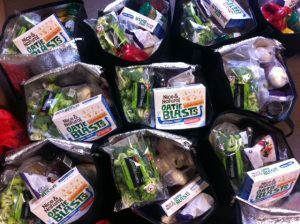 Many young people in the local area face food insecurity on a daily basis. In order to encourage students to continue to come to school UCHM provides a subsidised lunchtime food voucher program to students through the school canteen. This enables students who were coming to school without food, or those not coming to school because of lack of food, to have access to a healthy lunch. In addition to providing bi-weekly breakfasts and lunches, UCHM collects, processes and distributes fresh food parcels once a week for students in need to take home. 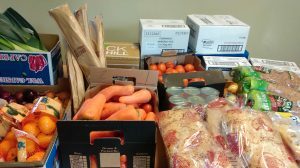 The food parcels are sourced through Food Bank Victoria and Secondbite with consideration given to the size and needs of each family. UCHM works closely with students, school welfare teams, and local community service providers to refine the program ensuring needs are met. UCHM relies heavily on volunteer support for the success of all its programs. If you are interested in any of these programs, or would like to volunteer, please register your interest here.